The Late Pliocene-Pleistocene Naust Formation and equivalent sediments have been mapped on the Norwegian continental shelf between Sognefjorden and Lofoten (61°N to 68°N). During the last 2.8 million years the shelf has prograded up to 150 km westwards. 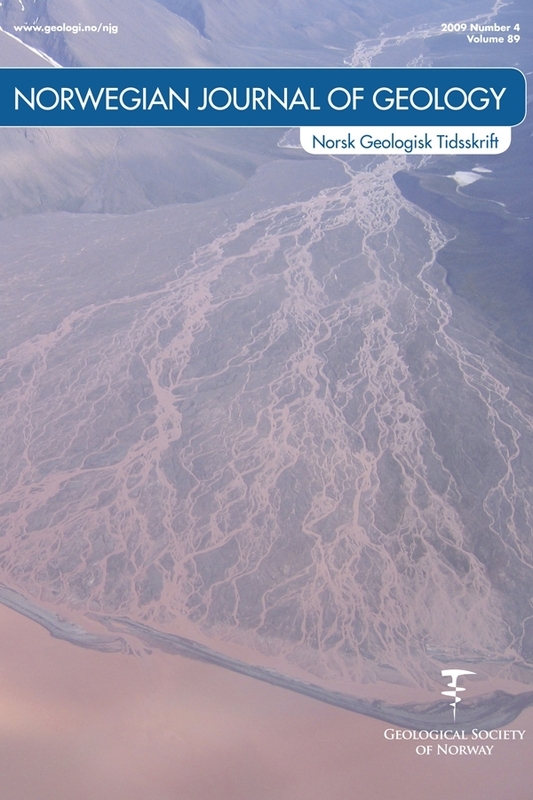 More than 1000 m of sediments have been deposited in large areas around the outer shelf/upper continental slope. Most of the Naust Formation on the mid-outer shelf comprises prograding wedges, commonly thinning westwards and downlapping onto the top of the underlying Kai Formation. 3D seismic data from the shelf show iceberg ploughmarks on palaeo-surfaces buried below 400 m of sediment at the present-day shelf edge. Tentatively, the oldest observed ice-grooved surface is c. 2 million years old. In several hydrocarbon exploration wells, abundant angular gravel fragments, interpreted as ice-rafted debris (IRD), have been found in the lower parts of the Naust Formation. In addition to these observations, the very high depositional rates compared to the previous Tertiary period, support our view that most of the Naust Formation was deposited under glacial influence. The Naust Formation is subdivided into five sequences. From oldest to youngest these are named N, A, U, S and T. Naust S represents the third last glaciation, whereas Naust T is from the last and second last glaciation. An upper regional angular unconformity (URU), best developed on the inner-mid part of the shelf, marks the boundary upwards to more flat-lying sedimentary units. These units mainly comprise tills, deposited during the last extensive glaciations on the shelf. The upper regional unconformity is over large areas off mid-Norway at the base of sequence Naust T and represents an erosional surface made by the Elsterian Ice Sheet.